I love having family traditions. I look forward to them, the kids look forward to them and they create great memories. 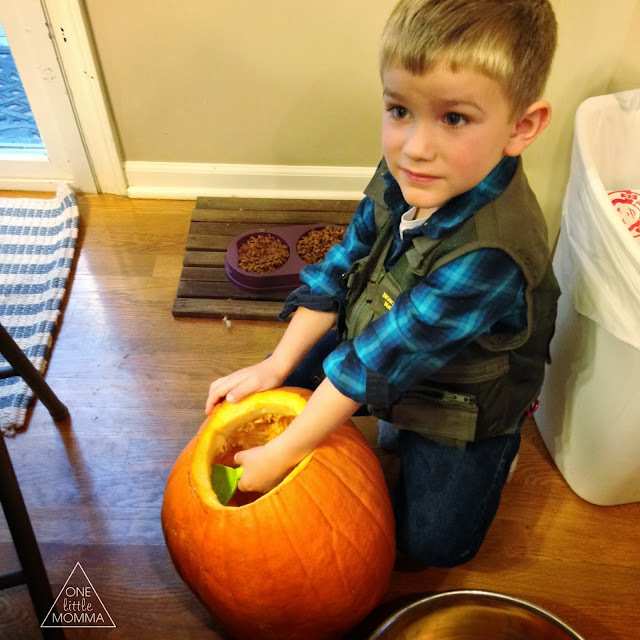 Unfortunately at this time of life, it is hard to keep elaborate traditions or even very many simple ones, but one that we always look forward to is carving pumpkins together and eating treats. It is inexpensive and creative and that is exactly how I like my family activities. 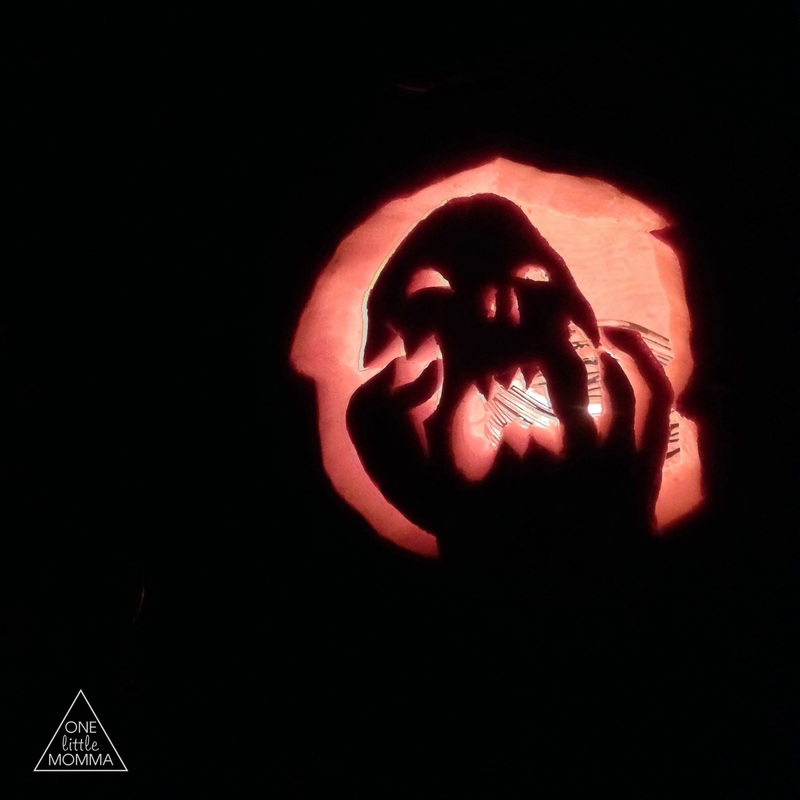 The kids were so excited to pick out their pumpkins this year and very vocal about how they wanted to carve them. 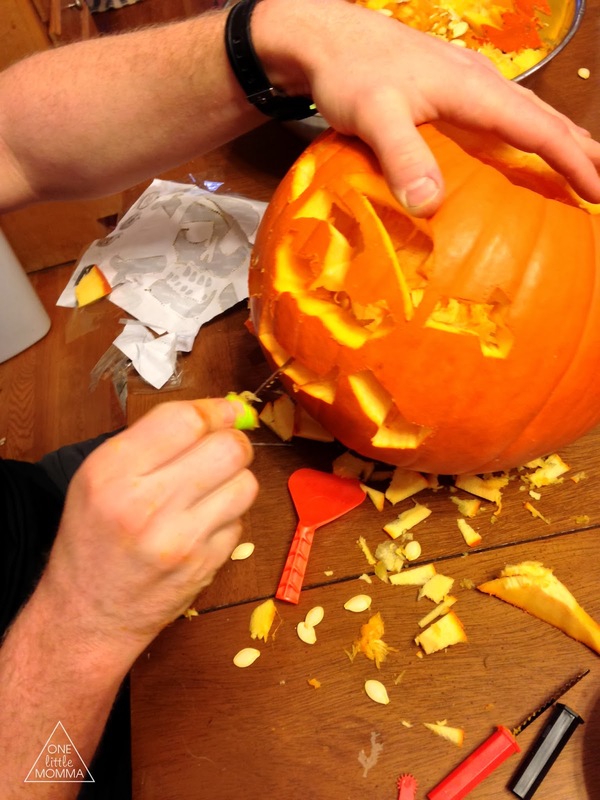 Luckily we had plenty of tools and designs to choose from in our Pumpkin Master's carving kits. The boys had theirs all planned out weeks before we actually cut them. One of the blessings of living close to my family is getting together with them for nights like this! My parents and siblings all came over to join the fun. We all made our plans and got to work. I love that Easton and Kesler were actually pretty grossed out about the whole carving process- at least the cleaning out part. Soren and I got to do all of that. The children supervised. 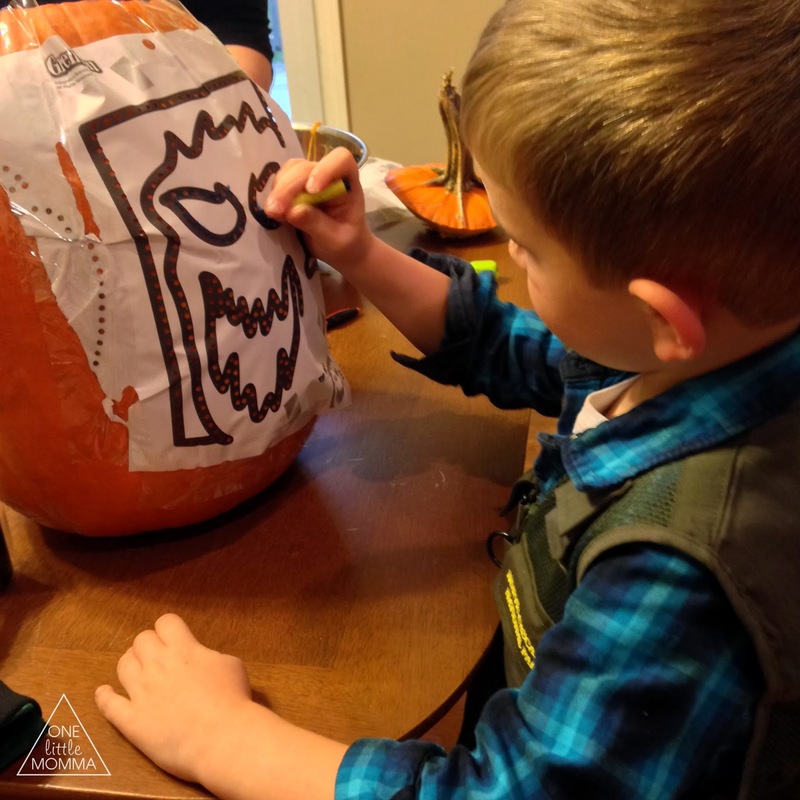 Easton was all about tracing his own design on the pumpkin. I was pretty impressed that he was able to use the stencil and the crayon to do that step himself. He did a great job! 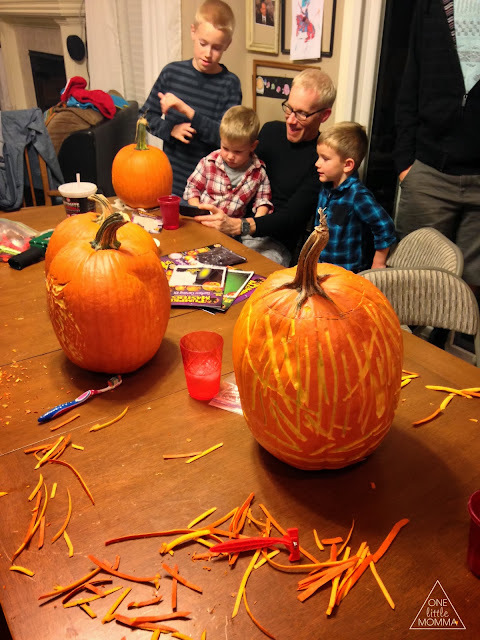 During the carving my Dad pulled out his phone and showed my boys some of the carving tips videos on Pumpkin Master's website and they loved it! 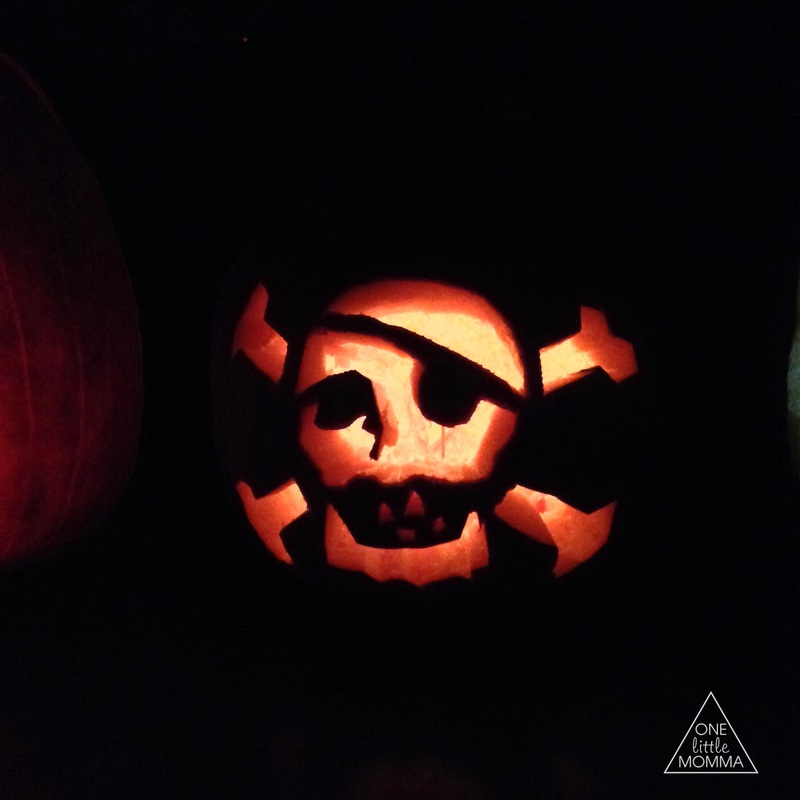 It was cute to see them 'ooh' and 'ahh' over the neat ideas for lighting and carving pumpkins. 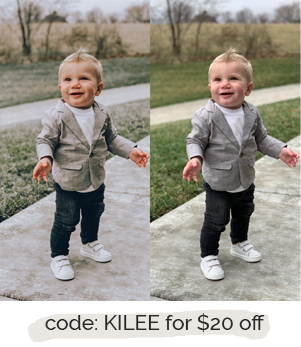 You can also see in this photo that Easton had a blast with the scraping tool. 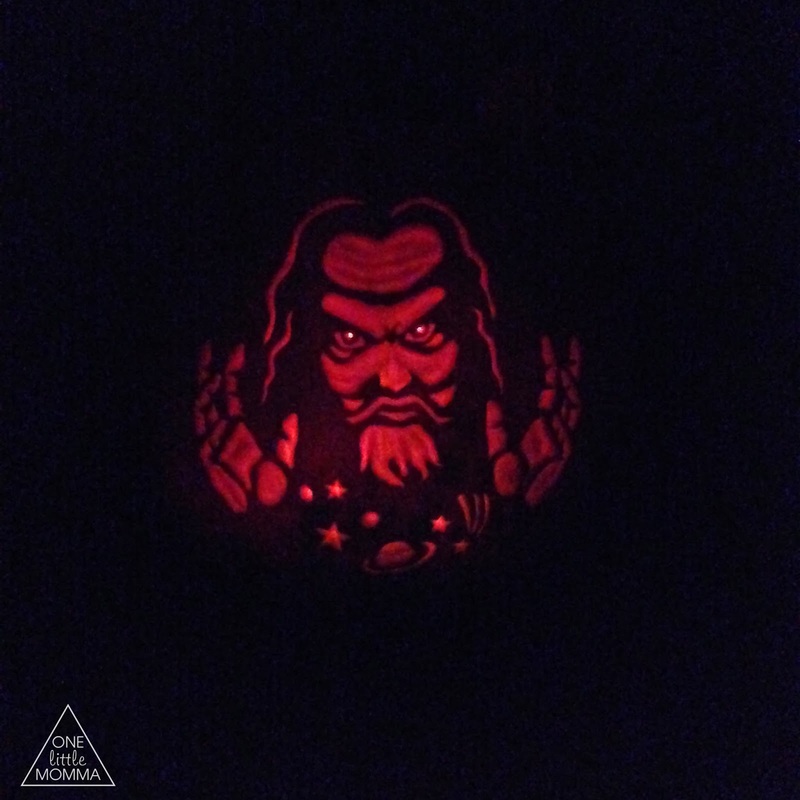 He carved off quite a bit of his pumpkin with it! 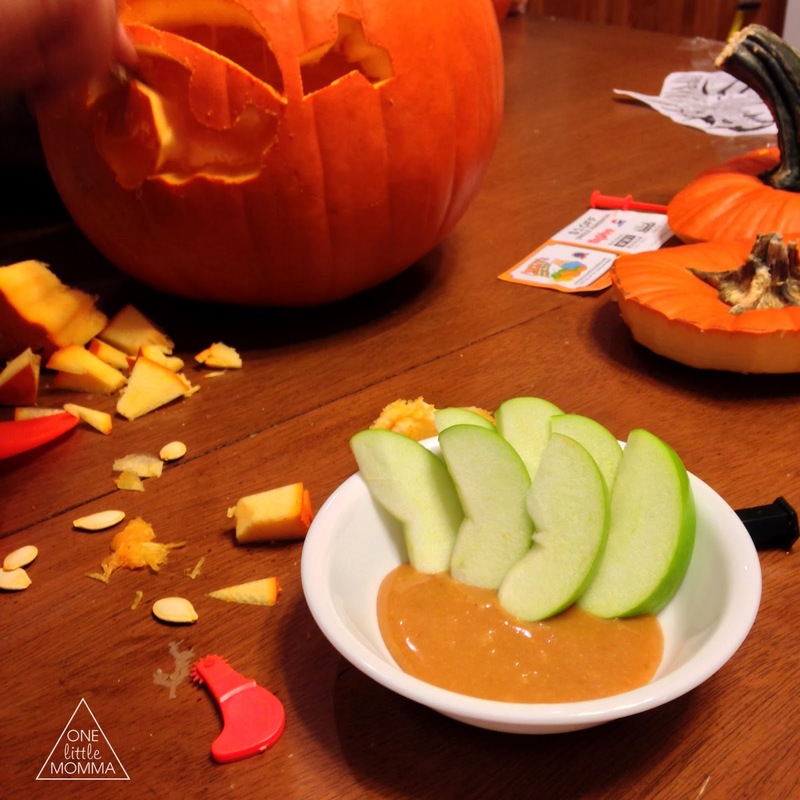 Another tradition during the Fall at our house is eating my mom's caramel apple dip. We downed a whole crock-pot of it while we carved and it was delicious. You can find the recipe here. We loved carving pumpkins with the kids and thought we'd share a real glimpse into what it was like at our house. 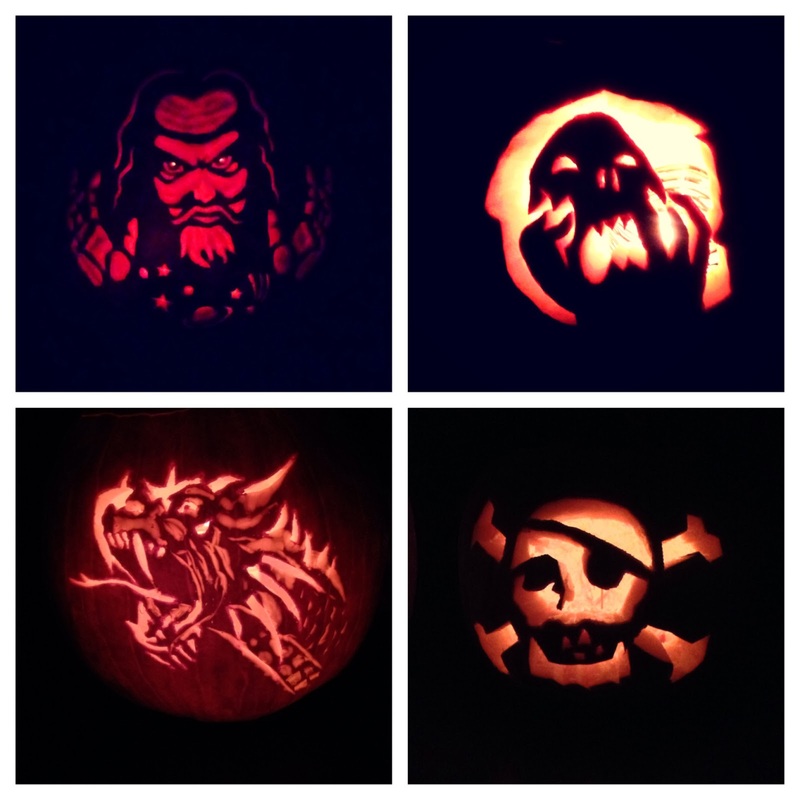 It is nothing fancy- just a real look at carving with our family. The Pumpkin Master's kits that we used to carve were great. You can find them for yourself at any local grocery store, drug or craft store or Walmart or Target. They are safer for the kids to use than kitchen knives and really were pretty easy for even my kids to use. 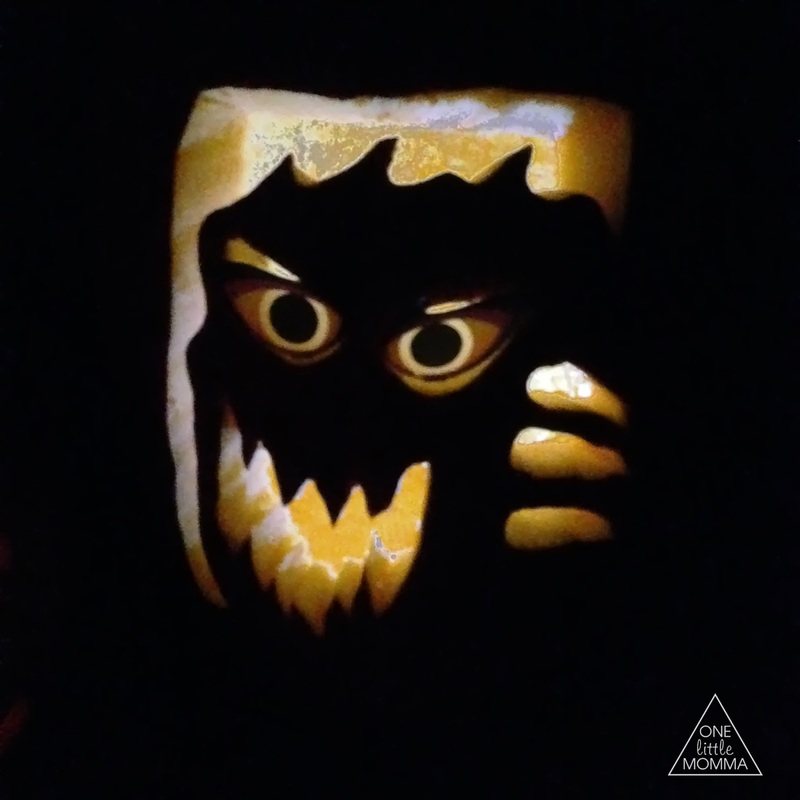 This year Pumpkin Masters is searching for carving talent as part of its annual Pumpkin Masters Carving Contest. 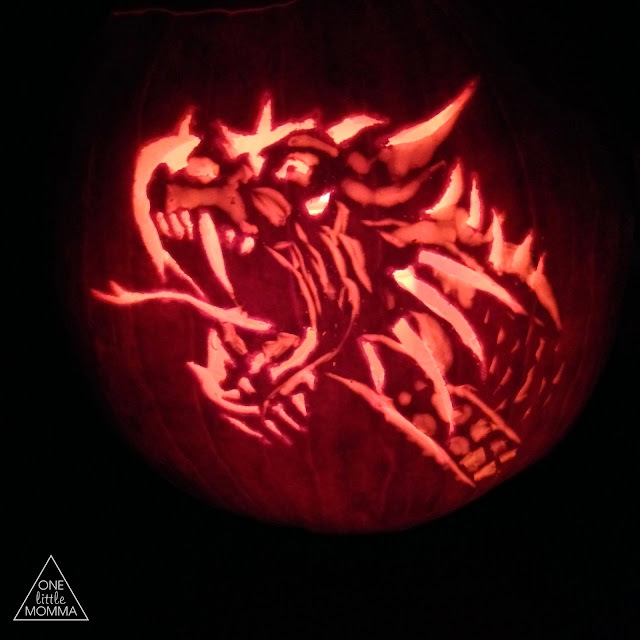 To enter Share a pic of your carving via Instagram or Twitter with #PumpkinMasters2013, submit via the Facebook app or send via email to: social@pumpkinmasters.com to enter for the chance to win one of six prizes, including $5,000 for the Best Pumpkin. The contest runs from October 1 - 31, 2013. Contest details and official rules can be found here. Have you carved yours yet? What are your plans?